Jamo ATM 50 atmos module speakers pair Coaxial design utilizes point source for focused, immersive elevation effects, while the 1″ soft dome tweeter and 5.25″ aluminized poly fiber woofer provide dynamic, balanced, distortion-free sound. Jamo ATM 50 Atmos Module Speakers Coaxial design utilizes point source for focused, immersive elevation effects, while the 1″ soft dome tweeter and 5.25″ aluminized poly fiber woofer provide dynamic, balanced, distortion-free sound. Add Dolby Atmos® height effects to any existing home theater with Jamo ATM 50 on top of your floor-standing or bookshelf speakers for dynamic, 3- dimensional sound for your music and movies. The ATM 50 exclusive grille design provides built-in front stage occlusion for life-like, powerful overhead effects. 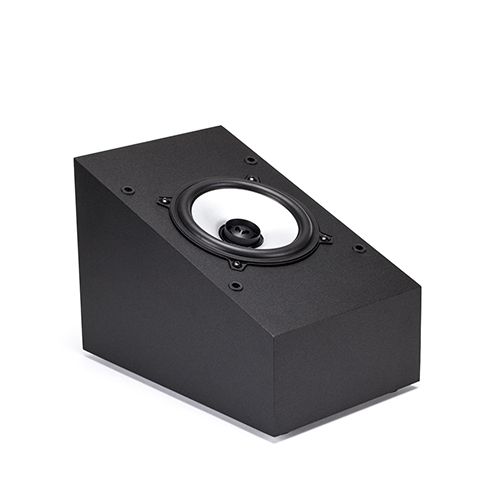 The matte polymer finished gives a design aesthetic that blends with any high-performance home theater system.